« Wild Wild West Steampunk Con 2014 Wrap Up! This entry was posted on June 3, 2014 at 9:25 am	and is filed under writing. 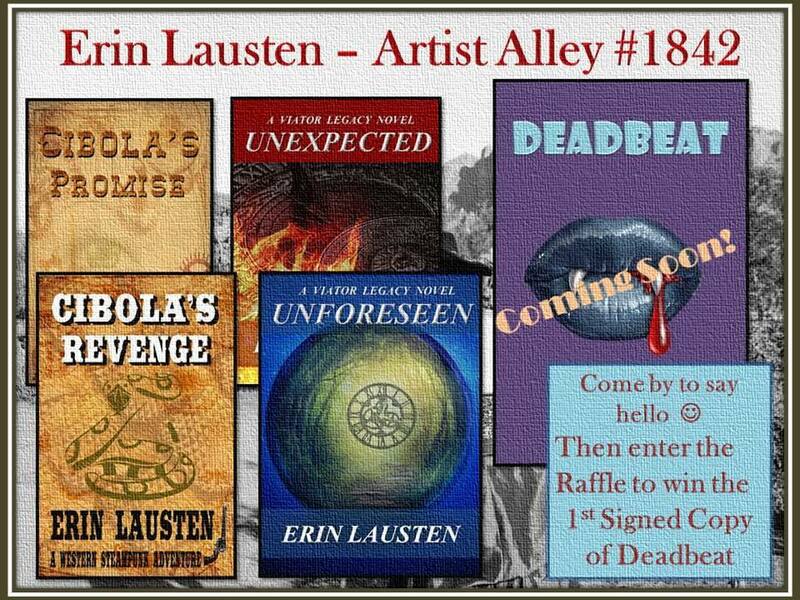 Tagged: author, autograph, awesome, book, Books, comic books, CowgirlZen Photography, Erin Lausten, excited, excitement, fantasy, geek, geek culture, Phoenix comicon, public appearance, raffle, reader, readers, sci-fi, signed copies, writer, writing. You can follow any responses to this entry through the RSS 2.0 feed. You can leave a response, or trackback from your own site.